To make this I used an embossing folder for the background and simply adhered it on a dark green mat. Tie a ribbon to the top and adhere to your card base. Die cut the Treble Clef using black card stock and adhere dark silver foiled card stock to the back of the treble clef die cut and cut it out. 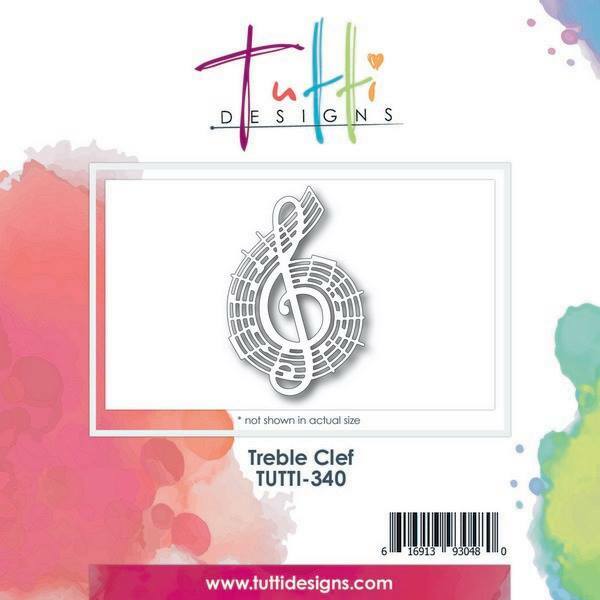 Adhere the Treble Clef to the card using foam squares to bump it up for dimension. Beautiful die cut and card! Beautiful Debbie ...love the foil in the background and the sequins are the perfect finishing touch! What a stunning card Debbie! You will be greatly missed. You took classic black and white and kicked it up a notch! Fantastic. Always love musical theme cards. wow! I always love a good music card! thanks so much for your hard work, we will miss you! Love this music card, Debbie! So sorry to see you go. Best of everything to you and your family!